One of North Goa’s most sought after restaurants, Gunpowder boasts of a delicious spread of both vegetarian and non-vegetarian delicacies. Housed within the compound of a Portuguese style heritage house, the restaurant shares the space with People Tree, a design collective that lends its own unique quirk to the space. Everything! 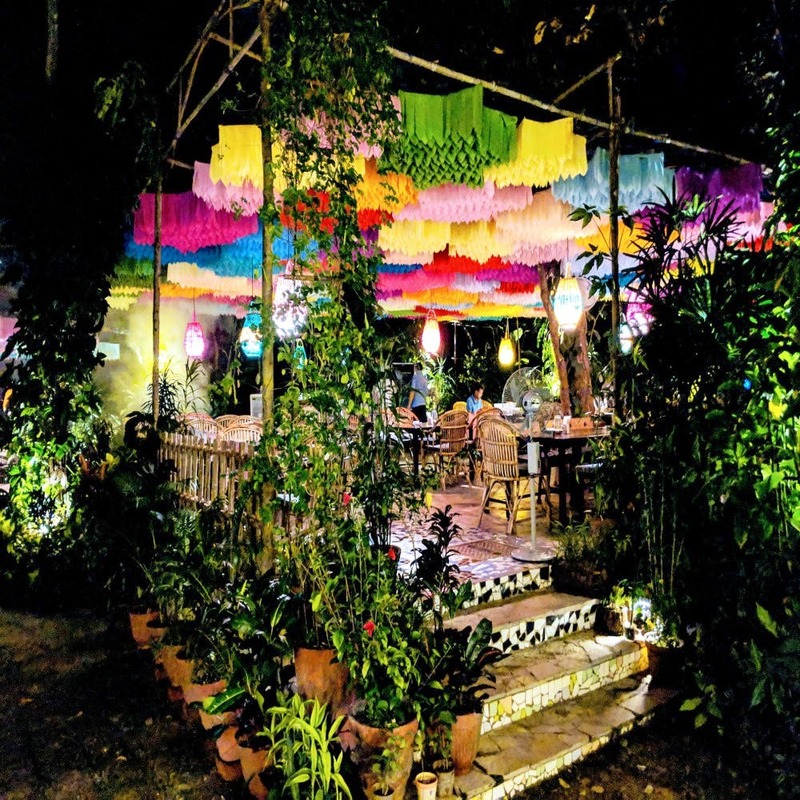 Starting from the ambience, where huge upcycled cloth flowers form the roof above your head while you’re seated amidst lush plants and flowers, to the eclectic homegrown cocktails that are a mix of local and curated flavours, to the vibe of the space… Everything has an artistic touch to it. The food maintains the same levels of charisma with sharp South Indian flavours seamlessly mingling with the coastal cuisine. The choices are aplenty whether you’re a meat-eater or not — being an avid meat eater, I’d recommend the andhra style prawns, the pandhi curry and the Kerela beef fry, though the potato ishtew is what I call soul food! Some more must-haves include the appam, the Malabar parotta, and the panna cotta for dessert. Try the sol kadi to work up an appetite for a scrumptious meal, or go for the tamarind-pineapple margarita which is served in an equally interesting copper goblet. At Gunpowder, you will be delightfully spoilt for choice, so our recommendation is to go in a group, though it also makes for a lovely setting for a romantic dinner. The restaurant remains quite busy during most holidays and weekends, so calling ahead to make a reservation might be a wise idea. On Mondays though, the restaurant remains shut, and its grounds become the breeding ground for critical thought, thanks to insightful events curated by Thus.